This private historical walking tour of the French Quarter commemorates the Battle of New Orleans, when Andrew Jackson led a motley crew to victory against British invasion. Stroll through the Vieux Carre as a native guide (and long-time resident of the French Quarter) recounts Louisiana’s transition from a colony to a state. You’ll visit a Creole cottage, tour a 19th century townhouse, visit the Calaboose where pirates were held, Jackson Square, Madame John's Legacy, Antoine's Restaurant, and much more! Meet your guide at Antoine's Annex on Royal Street to start your walking tour of Louisiana history in the French Quarter. January 2015 marked the second centennial of the bloody Battle of New Orleans, and you’ll see sites associated with this conflict, which came on the heels of the War of 1812. Learn how Andrew Jackson (the future US president) led the resistance by state militia, regular army soldiers, frontier militiamen, Creoles, pirates, and Choctaw Indians against British regulars, commanded by the brother-in-law of Lord Wellington, attempting to seize control of the Crescent City. 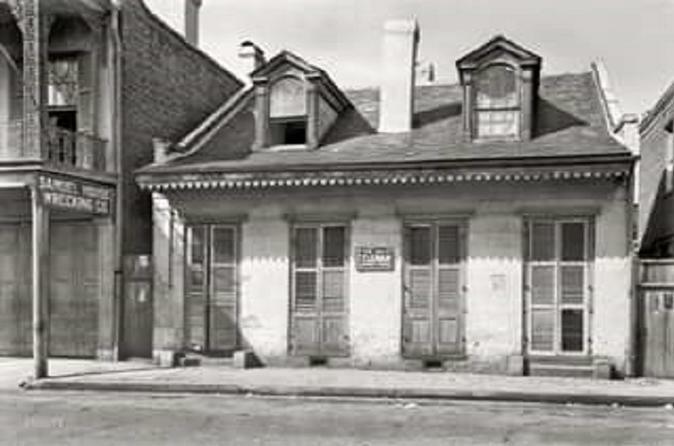 You'll enter a Creole cottage to discover architectural features unique to New Orleans and hear about the New Orleans system of plaçage, in which free femmes de couleur (women of color) entered into domestic arrangements with Creole men. Step inside the townhouse of one of New Orleans’ most notorious families and hear about Louisiana’s cultural and political transition into statehood. Enjoy a tour of Antoine's Restaurant, the grand dame of French-Creole cooking and New Orleans society since 1840. At this birthplace of Oysters Rockefeller, you can go back in time as you tour the restaurant's unique dining rooms. This tour will also bring you to other important historical sites such as Cabildo, site of the signing of the Louisiana Purchase; the Arsenal, a once notorious jail that held pirates and scalawags; Pirates Alley, past cannons used in the Battle of New Orleans. Along the way, enjoy the beauty and romance of Creole courtyards. Your tour ends at the Hermes Bar, which serves up classic cocktails and brilliant food from the kitchen of Antoine's Restaurant (own expense). Special Offer - Travel by September 30, 2018 and save 36% off our previously offered price! - Book Now!